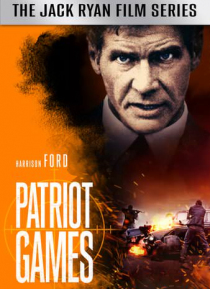 Harrison Ford stars as Jack Ryan in this explosive thriller based on Tom Clancy's international best-seller. His days as an intelligence agent behind him, former CIA analyst Jack Ryan has traveled to London to vacation with his wife (Anne Archer) and child (Thora Birch). Meeting his family outside of Buckingham Palace, Ryan is caught in the middle of a terrorist attack on Lord Holmes (James Fox), … a member of the Royal Family. Ryan helps to thwart Holmes' assailants and becomes a local hero. But Ryan's courageous act marks him as a target in the sights of the terrorist (Sean Bean) whose brother he killed. Now Ryan must return to action for the most vital assignment of his life: to save his family. Costarring James Earl Jones.